The Penang Hill Train (Penang Hill Funicular Railway) is located in Air Itam on Penang Island, Malaysia and takes you up to the top of Penang Hill, known in Malay as Bukit Bendera. Unfortunately for tourists, since the new upgraded Funicular Railway re-opened in 2011, the price for non-Malay citizens has rocketed (someone has to pay for the new trains and they have decided it's you, the tourist). Senior Citizens: no discount unless you are a Malaysian citizen. If you only want to take a one-way ticket and walk back down to the Botanic Gardens, you can buy a one-way ticket for half the return price. If you really want to, you can pay around double for the "Fast Lane". There is currently a promotional fare from 06:30 - 09:00 and 19:00 22:30 for MyKad holders only (not available during school holidays), of 3RM (please check for the latest promotions on the Penang Hill official website, by using the link below). 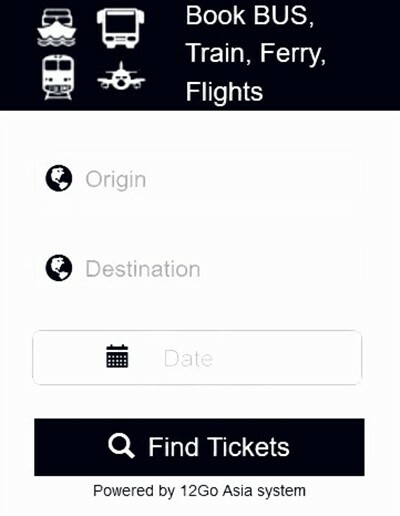 Disabled people can travel for free. During normal weekdays trains run from 06:30 when the first train leaves the bottom of the hill until 23:00 when the last train leaves the top of the hill. At Weekends, Public Holidays and School Holidays trains now operate the same as above. The ticket office closes at 22:30. As there is no Penang Hill entrance fee, you can visit here for free - with a little effort! In the past, you had the choice of catching the train or walking up to Penang Hill from the station. The path up the hill is just past the ticket barriers and when I asked if I could walk up I was informed that the path was too dangerous due to "snakes and fallen trees." 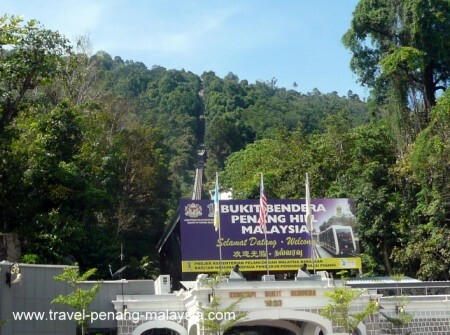 There is a place where you can still walk up to Penang Hill, but not here! What you will have to do is go to the Botanical Gardens where there is a 5 km road / pathway through the forest that goes up to the top and its free! Rapid Penang bus 204 is the only bus that takes you all the way to the Penang Hill Lower Station. This bus runs from Penang Jetty, past the Esplanade, then along Penang Road before reaching KOMTAR bus station - then on to Air Itam and Penang Hill. Bus 204 also passes the big temple at Kek Lok Si, so you may want to combine a visit to Penang Hill with a visit to Kek Lok Si Temple.